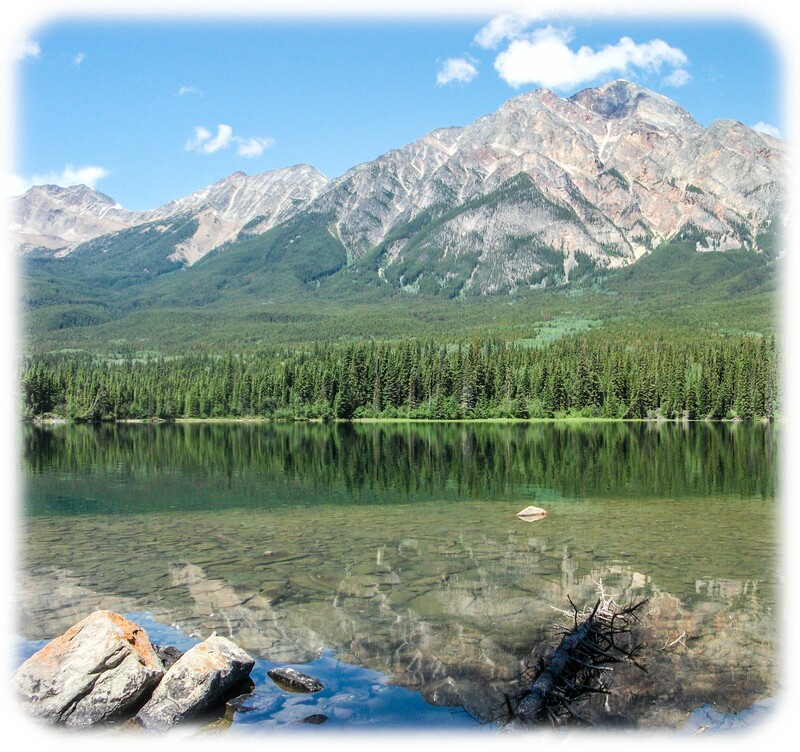 Our Canadian Rockies tour continued from Banff up the Icefields Parkway to Jasper National Park. The parkway way was beautiful although our visibility was limited due to low clouds and blowing snow! Yes, in late June we had snow flurries off and on. 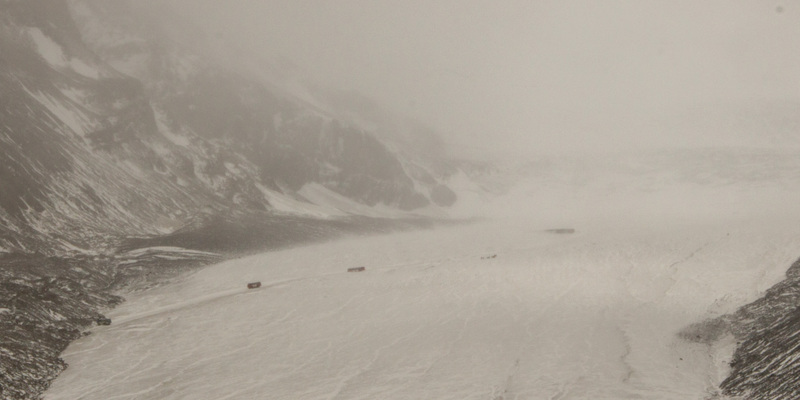 At the famous Icefield Centre we had 41 degrees F and fierce winds blowing snow. We saw many glaciers but it was too severe for these Florida folks to walk the glacier. The weather improved when we arrived at Whistlers campground near Jasper. This is a huge campground with no hookups and nice separation between campers. Our site was a tight fit but we made it work. 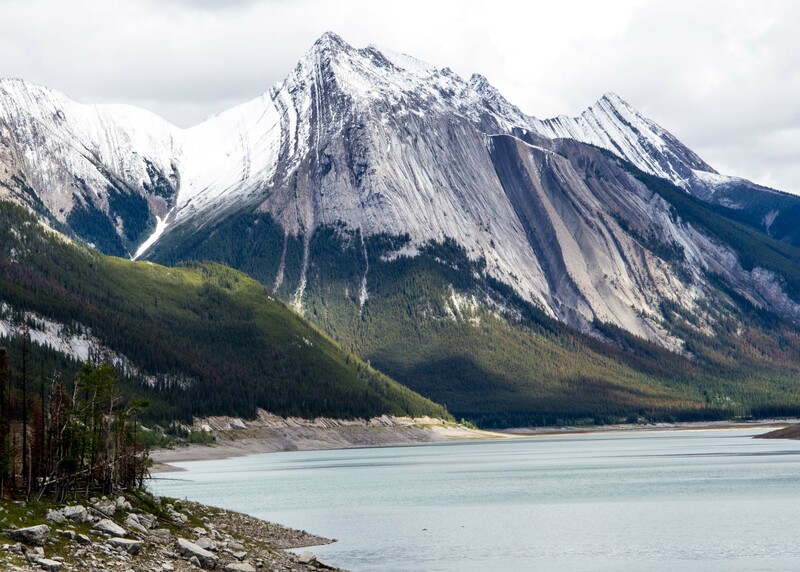 Even more than Banff, Jasper is surrounded by national park. 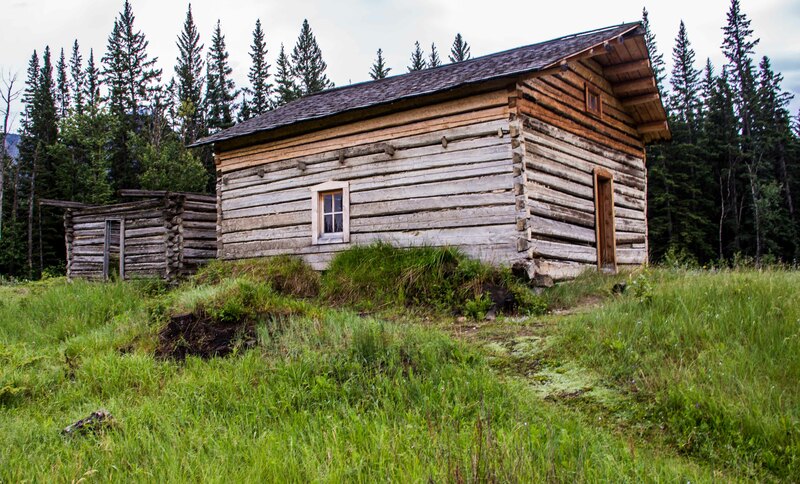 The visitor center is a historic building in the rustic style that became a symbol of mountain parks. The Friends of Jasper led an evening historic walking tour where we learned of the park, the town and the people. Jasper has as many tourists as Banff but we didn’t see nearly the busses and crowds. 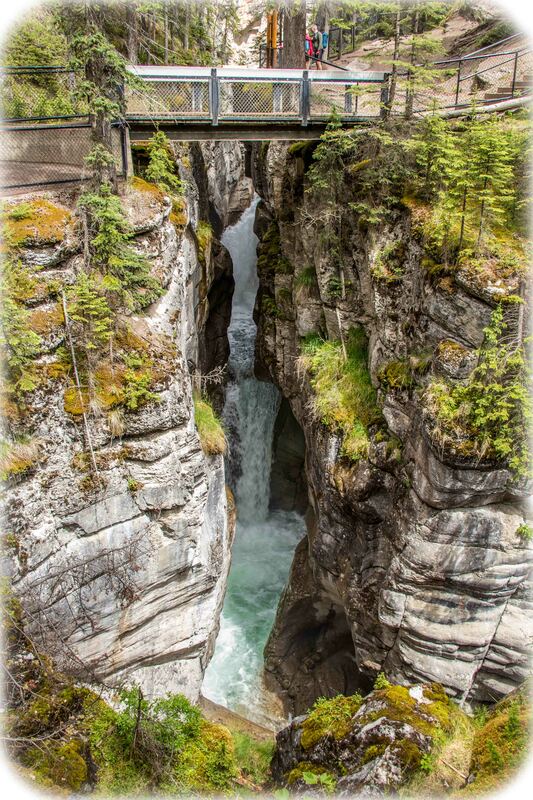 A wonderful day trip was to Maligne Canyon and Maligne Lake. 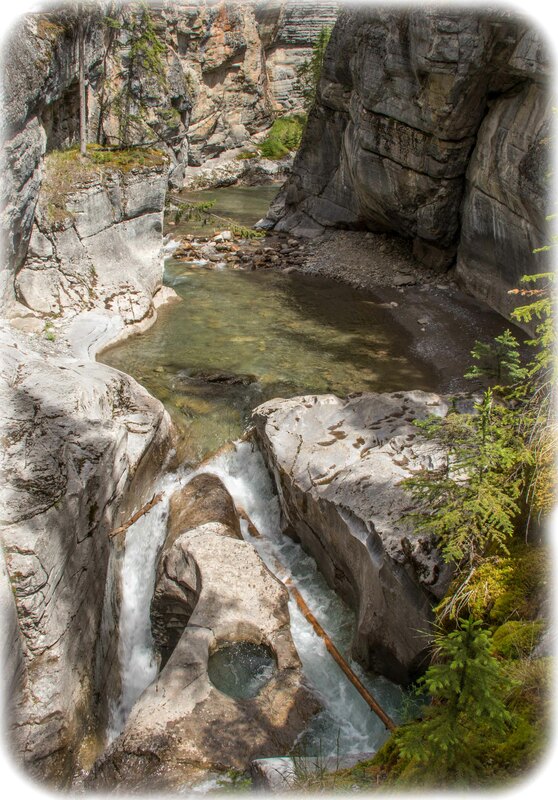 Another beautiful narrow canyon carved in the mountains, Maligne Canyon was a good hike down river and back up again. 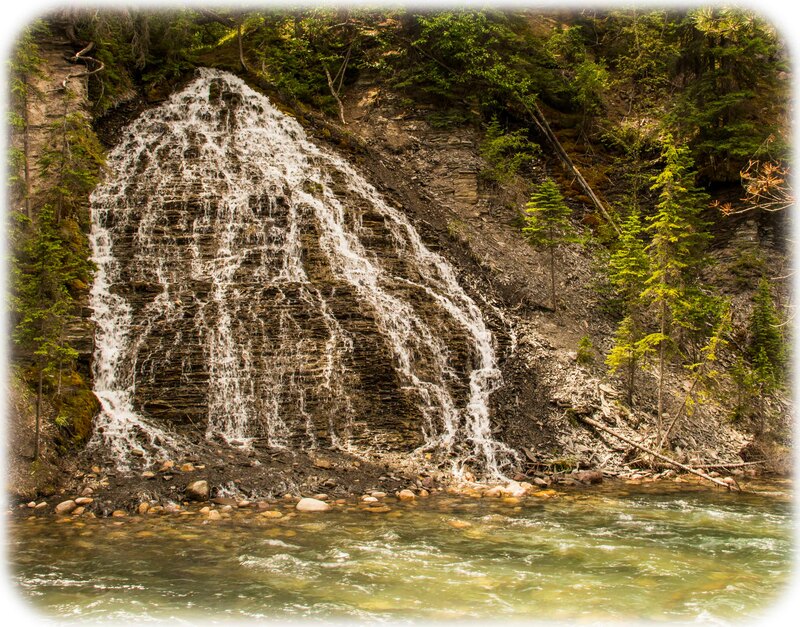 There are amazing springs bursting out of the canyon walls which we learned are drains from nearby Medicine Lake. These drains remove virtually all the water each summer before the lake refills in the spring. 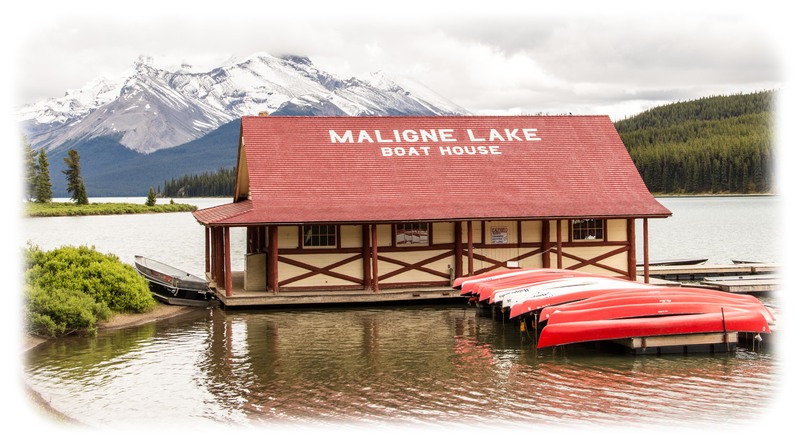 Down the valley the road ends at Maligne Lake, a large lake with scenic cruises, fishing, canoes and kayaks. It was there that we encountered a mama black bear with 2 tiny cubs on the paved trail along the lake very close to the visitor center. Before we returned from the lake we had seen 7 black bears, 1 caribou and 1 huge bull elk. 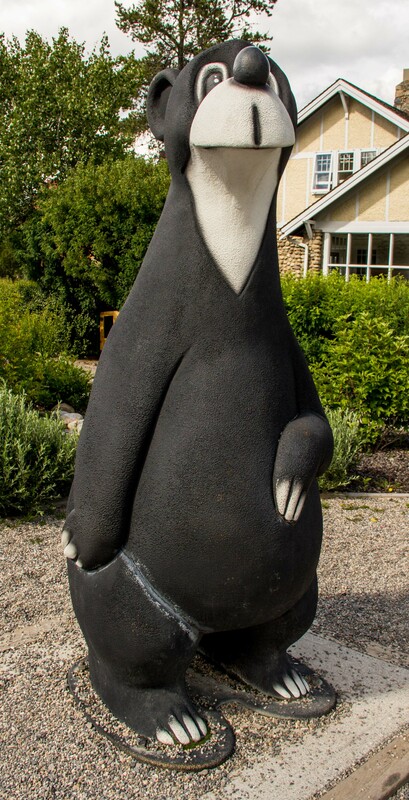 See wildlife post for more on that. 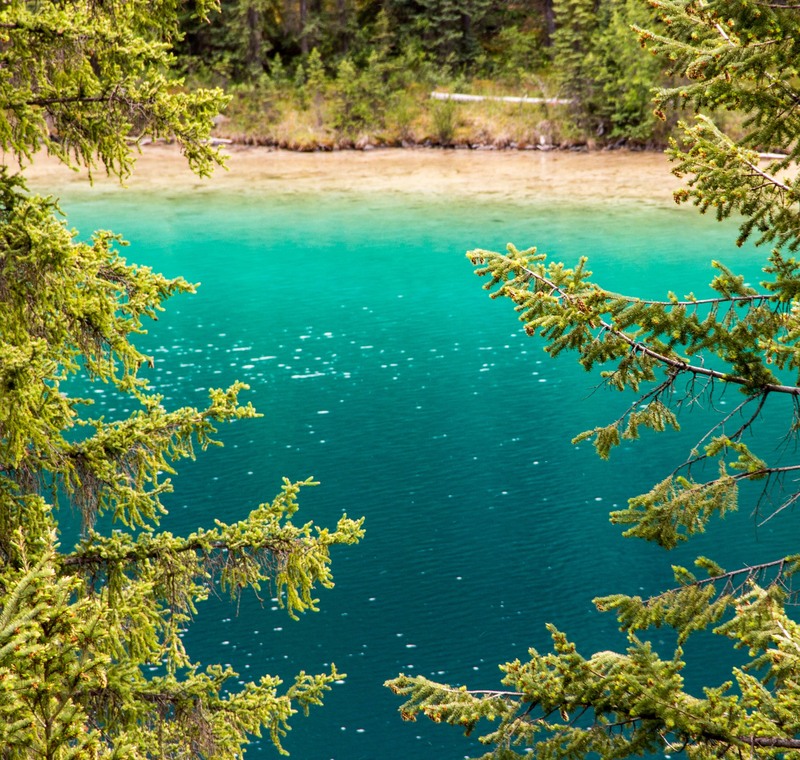 Another adventure in Jasper was our hike to The Valley of the Five Lakes. This was a well used trail system of about 5 miles around five small to medium sized lakes. 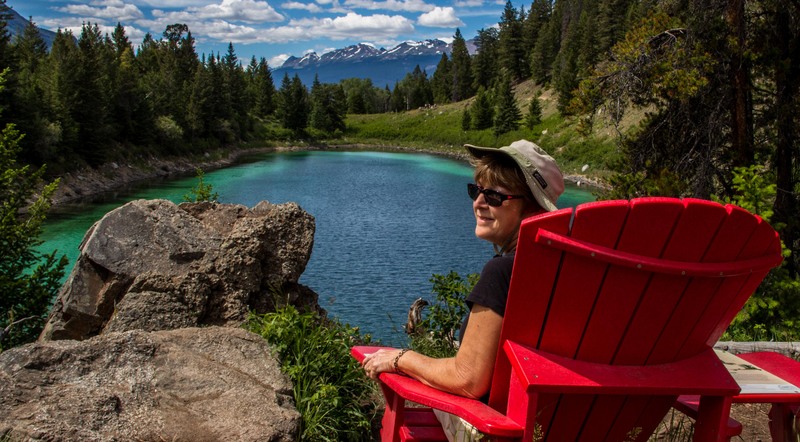 It was a vigorous hike highlighted by 2 more of the red chairs and more bears. First we saw a bear approach one lake for a drink, then swim quickly across the lake. Then we saw 2 huge black bears near our trail causing us to chose a different route. We met nice people along the way and hiked together to form a larger group. 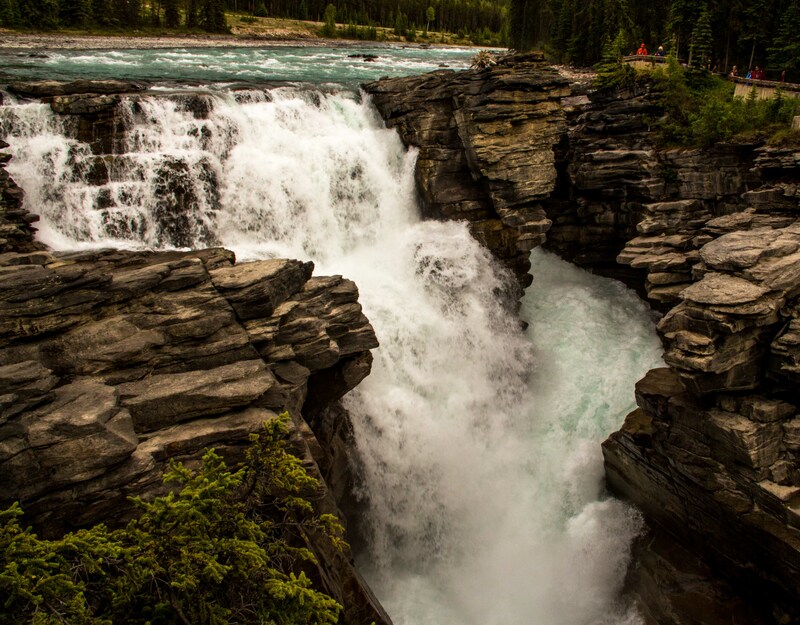 Later that day we visited Athabasca Falls, a powerful falls on the glacier fed river. The next day we joined a raft trip from the falls down the river through a canyon toward Jasper town. The water was cold (39F) and milky from the glacial flour but perfectly clean to drink. Later in the trip we had cold driving rain in our faces. Good thing we wore wet suits. Summer in the Rockies! 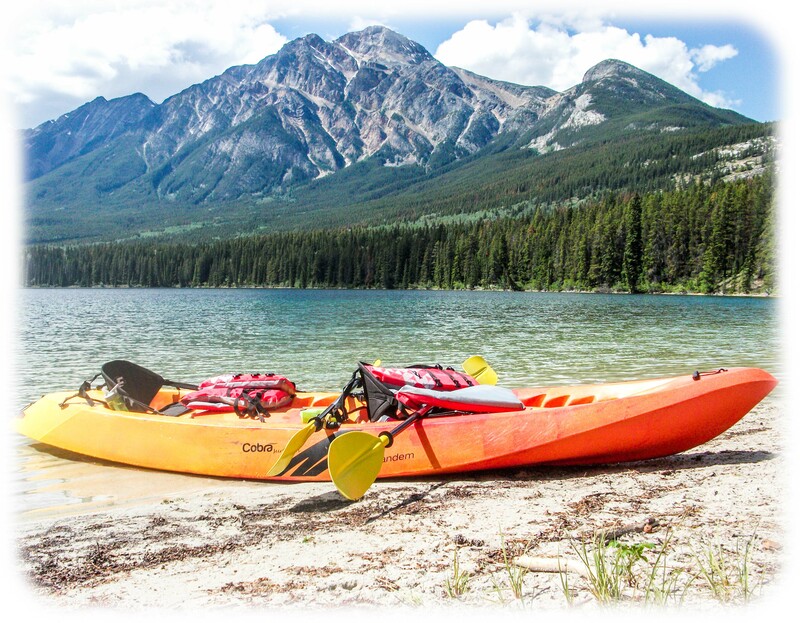 Throughout our Canadian Rockies adventure we scouted places to launch our kayak. We found some nice spots near Banff but the weather just didn’t cooperate. 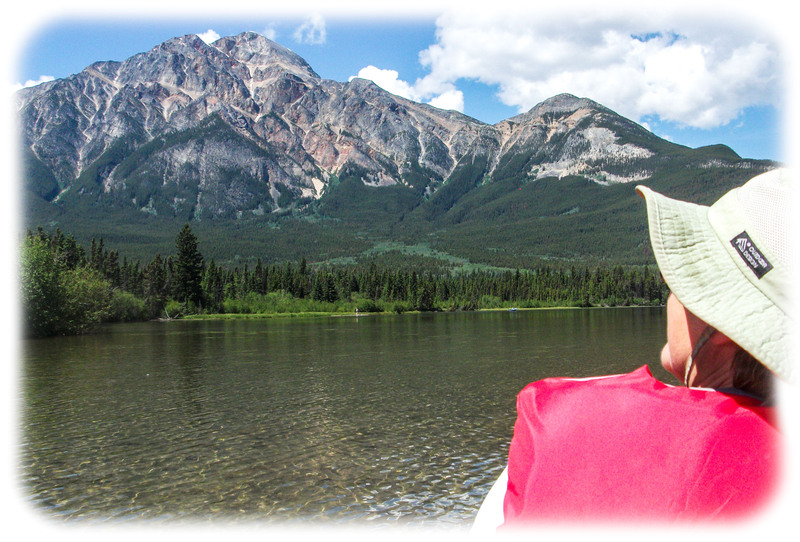 Around Jasper we found many great spots and finally got to launch at Pyramid Lake. Gorgeous views and wilderness surrounded us on our 2 hour tour. No motors on the lake makes for peacefull easy kayaking. Our last full day in Jasper we went to an abandoned homestead of original Metis settlers in the area. What a beautiful valley they lived in. Establishment of the park forced all residents to leave. The homestead in the only remaining sign of these early pioneers. 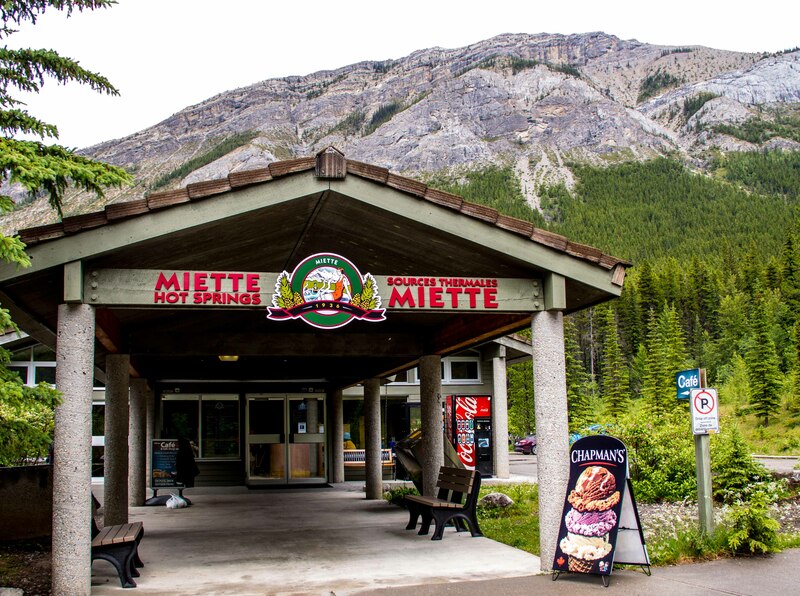 Later that day we took a soak in the Miette Hot Springs. The warmest in the Rockies, it comes out of the ground at 54C and must be cooled for humans. There is a very hot pool (40C), a hot pool, a cool pool and a cold (10C) pool. We soaked in the 2 warm ones and dipped our feet in the cold. Another interesting feature of the area is the trail to the source of the springs which includes a visit to the old hot springs structure abandoned in the 80s. Imagine an archeological hike to a site from the 80s? Jasper was the best. We saw more wildlife than we did in Alaska. The crowds we saw in Banff just never materialized in Jasper. We could enjoy spectacular scenery without feeling joustled. 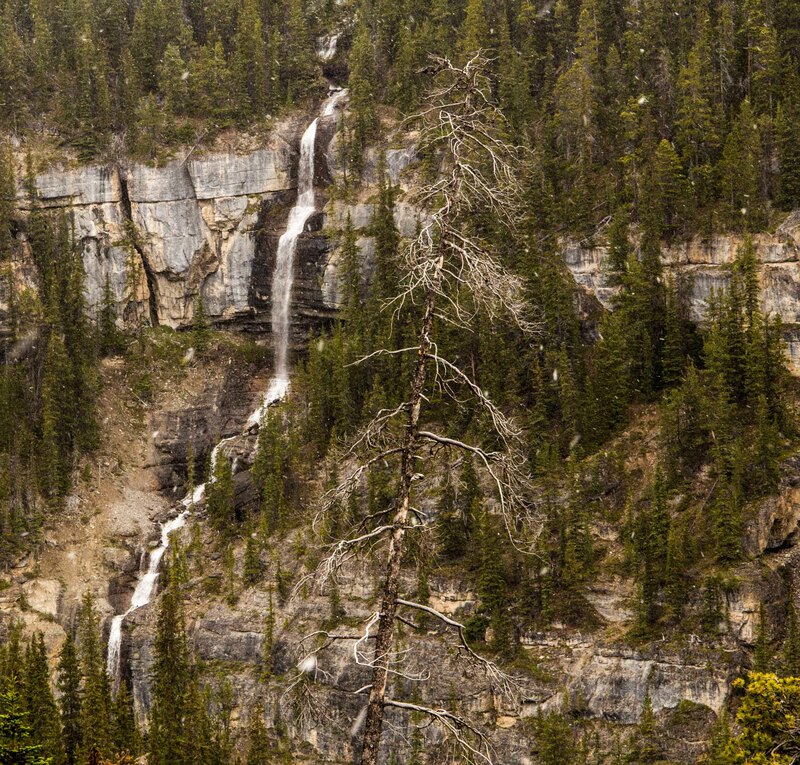 We met people from all over the world and hiked in more bear country than we ever imagined. 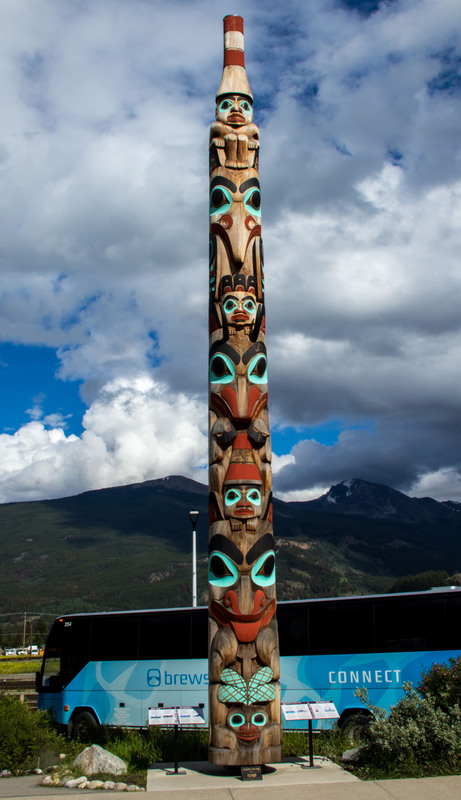 If we plan another Canadian Rockies adventure Jasper will be our first destination. 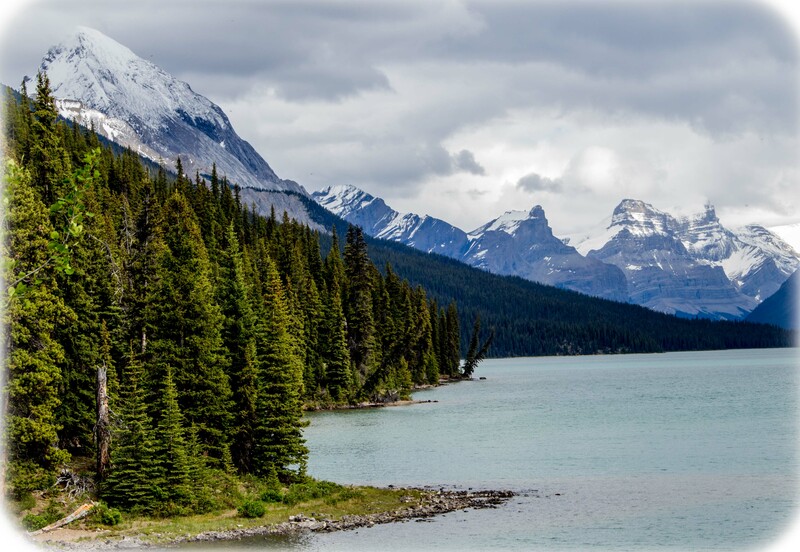 This entry was posted in Alberta, Canada, RV Travel and tagged Athabasca Falls, Icefield Parkway, Jasper NP, Miette Hot Springs, Pyramid Lake. Bookmark the permalink. Thanks Carol. 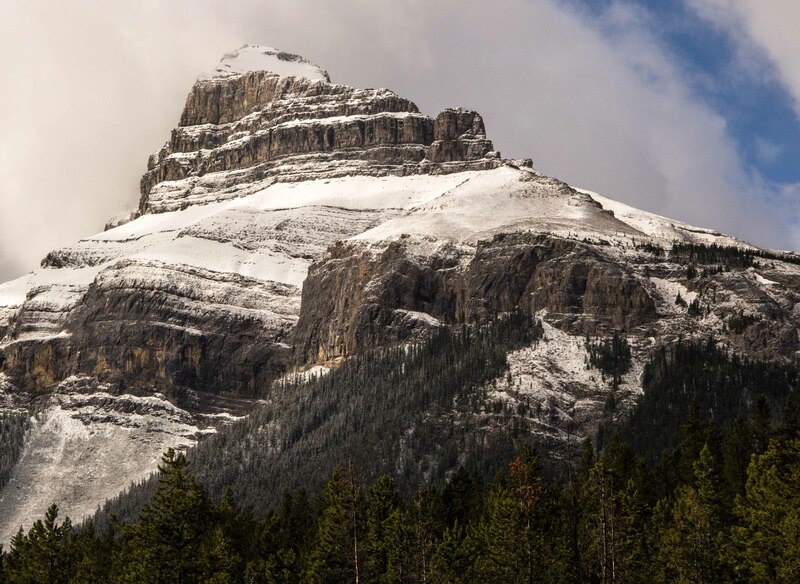 The Canadian Rockies provide a lot to shoot.